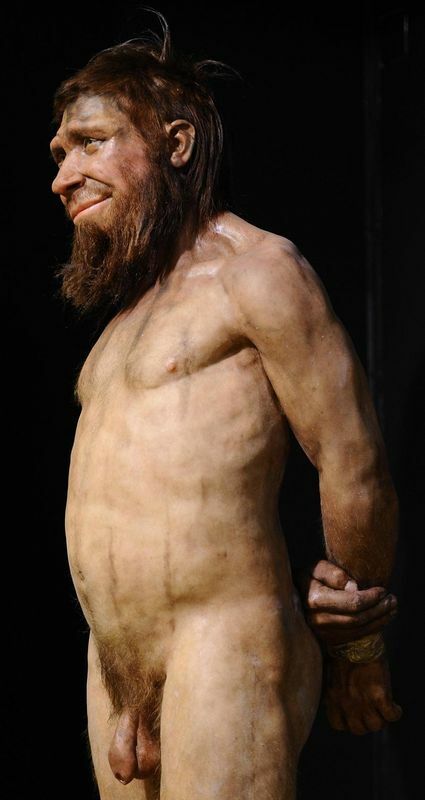 Tip o’ the hat to John Hawks for this latest attempt at visual theorizing about the Neanderthals. Too bad it’s so far from the reality. Forgive me. The above representation looks like Abraham Lincoln. 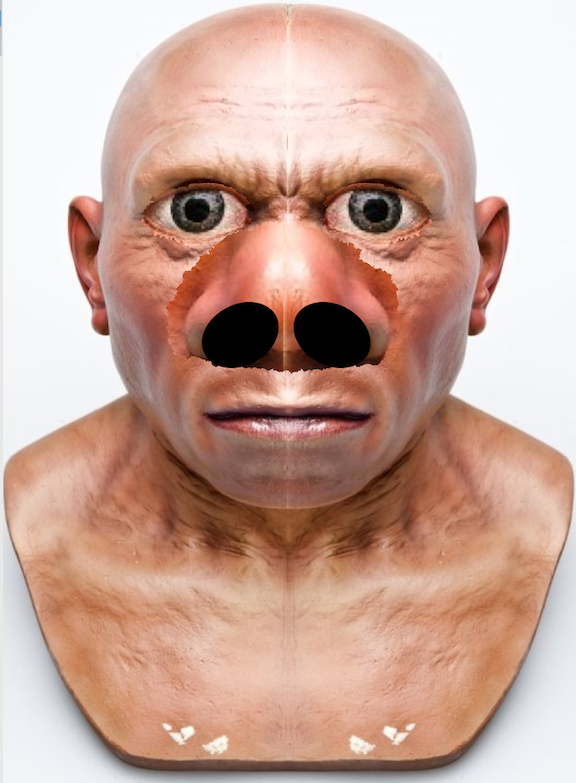 If you follow the logic of the skeleton, and don’t allow yourself to be swayed by the Neanderthals-R-Us people, the face should look more like my [sadly inept] approximation seen below. Side view to come. If you’ve never seen this representation before, may I suggest you have a look at a series of my posts, beginning with this one. Then just follow [cough] your nose. That’s it for me. I’m sick. I’m tired. And not just with disingenuous representations of our distant relative! ← "Independent Researcher" Doesn’t Mean Independently Wealthy!